D.L. Thurrott Air offers a complete range of products covering virtually all compressed air technologies and applications. From the back yard mechanic or small wood working shop to a large industrial processing or nuclear power plant; we have the air compressors and associated products to meet your requirements. From compressed air systems, air dryers and variable frequency drives to air treatment, filters, process cooling & chillers as well as blower systems, we have it all. We represent the top manufacturers in the business. Proven industry leaders like Atlas Copco, Champion, Mako, Pneumatic Products Corp., Deltech, Pneumatech, Zanders, Hydrothrift, Manchester Tank and more. D.L. Thurrott Air is a distributor for two of the leading manufacturers of piston type air compressors. 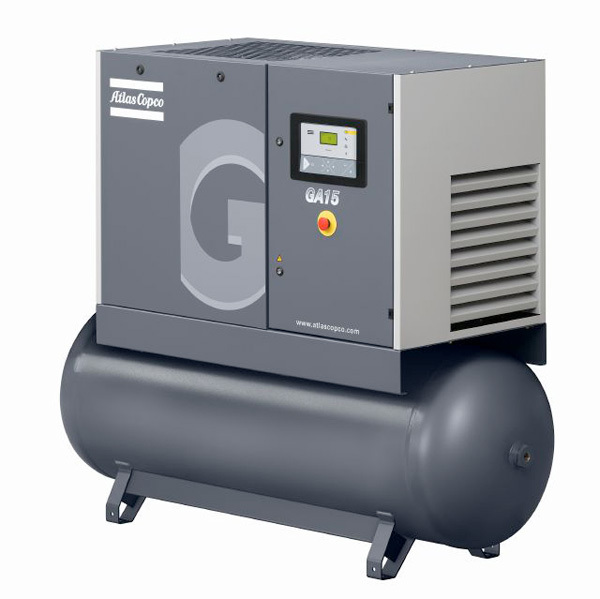 We have piston compressors ranging from 2 HP through 30 HP. Various configurations are available including base mount, tank mount, engine driven or duplex machines. Both manufacturers offer lubricated and oil-free units. As the world’s largest manufacturer of air compressors, Atlas Copco has set the standard for performance and reliability. With over 85 years experience in designing and manufacturing air compressors, Champion has developed an extensive line of reciprocating compressors for many applications. Champion compressors are available in splash or pressure lubricated designs as well as electric driven or engine driven configurations. 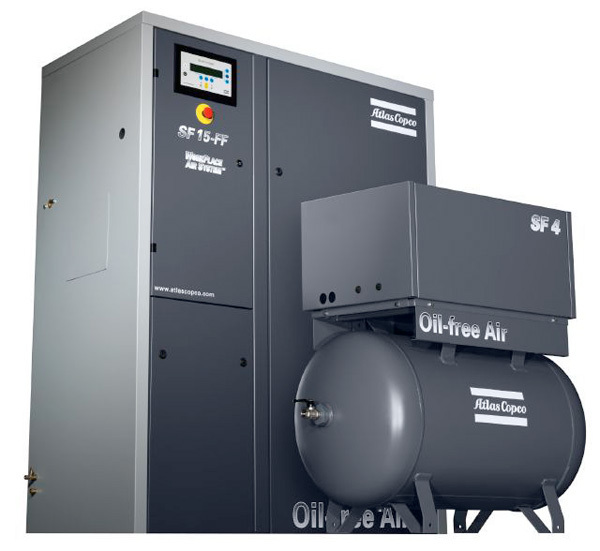 Champion also offers a complete line of oil-free compressors for medical and other critical air applications. Backed by 100 years as the leader in compressed air, Atlas Copco products offer the very best in quality and efficiency. 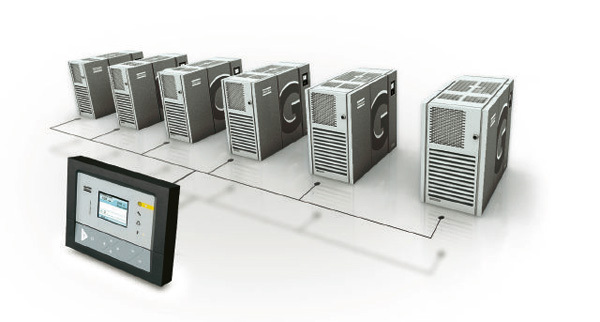 Innovation and integration have been the cornerstones to Atlas Copco’s product development. 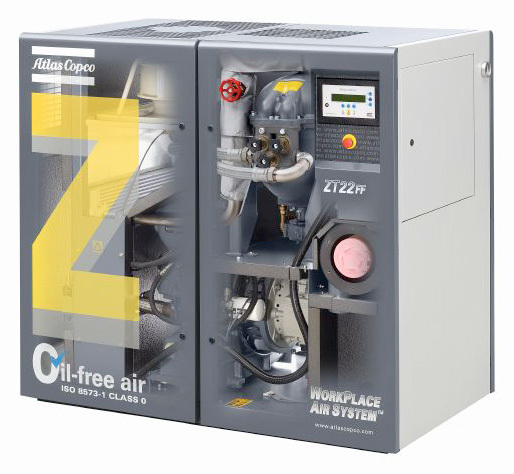 When considering clean, oil-free compressed air for your critical process, you cannot afford to compromise. 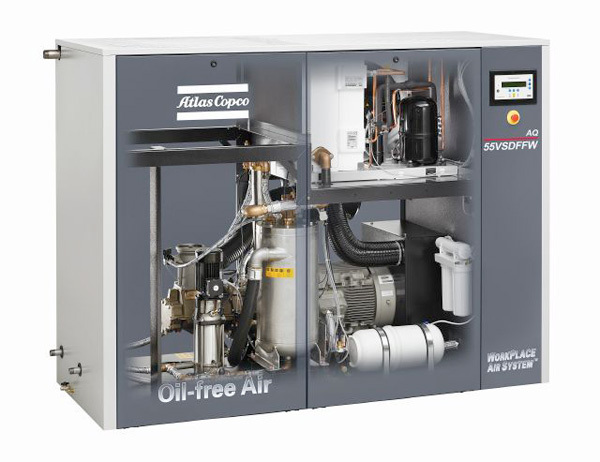 Atlas Copco was the pioneer in oil-free compressor technology and now offers several different products to meet and exceed the demands of the market. Atlas Copco has recently achieved a new milestone: Establishing the standard for air purity as the first manufacturer certified ISO 8572-1 CLASS 0 air. 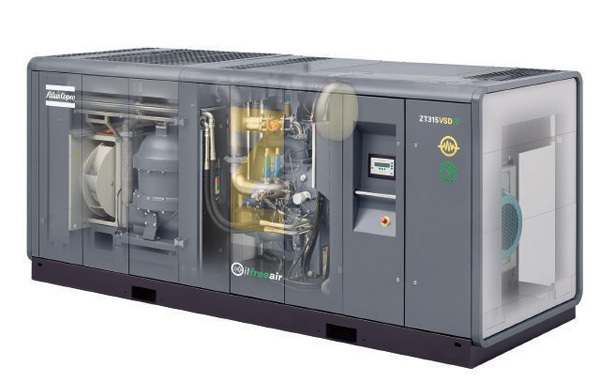 The SF range of oil-free rotary scroll compressors demonstrates Atlas Copco's vast experience and knowledge in a unique package. 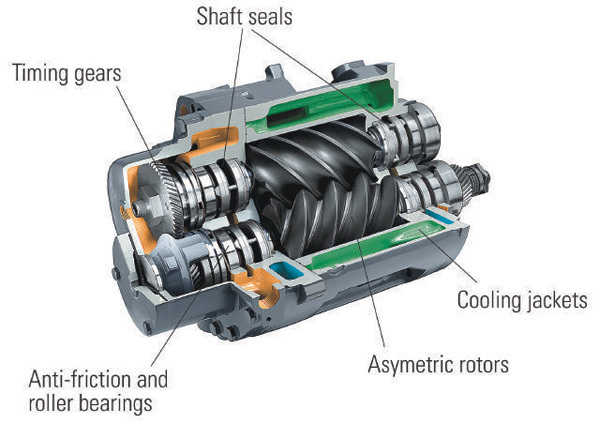 Scroll compressors, first introduced in the refrigeration industry, operate at very low speeds and are extremely quite. With a capacity range from 5 CFM to 55 CFM, the SF series is a perfect solution for applications including: food processing, labs, medical and low pressure breathing air. Atlas Copco has perfected the water-injected screw technology through the use of innovative components such as a bronze & ceramic element, stainless steel separator vessel and integrated RO filtration system. The AQ machine offers higher pressures than other oil-free machines and is by far the most efficient in its class. The AQ is available in both fixed speed and Variable Speed Drive configurations. 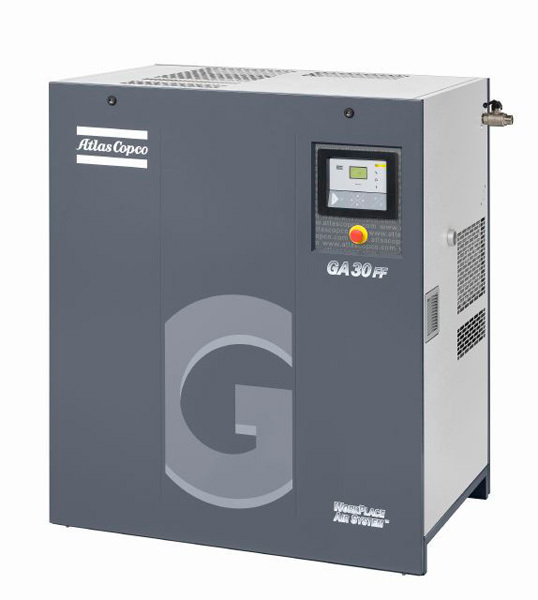 The Atlas Copco ZR/ZT15-50/VSD series are a compact, fully integrated compressor package in the 20 HP to 65 HP range. 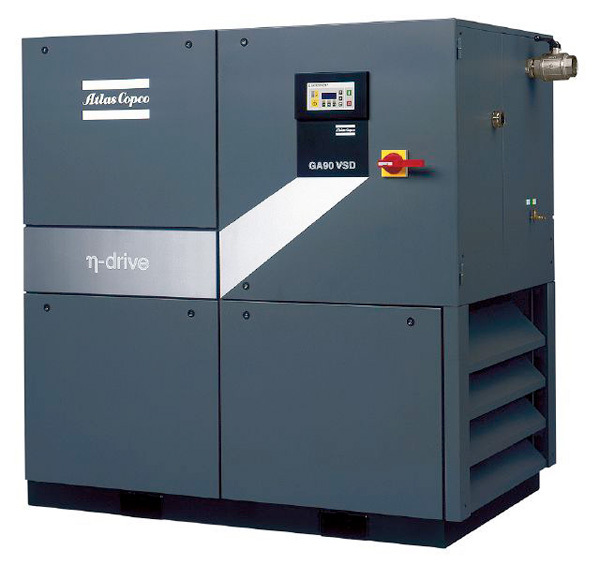 The units are available with integrated air dryers and energy recovery systems. The machines are certified ISO 8572-1 CLASS 0 and two sizes are available as Variable Speed Drive. 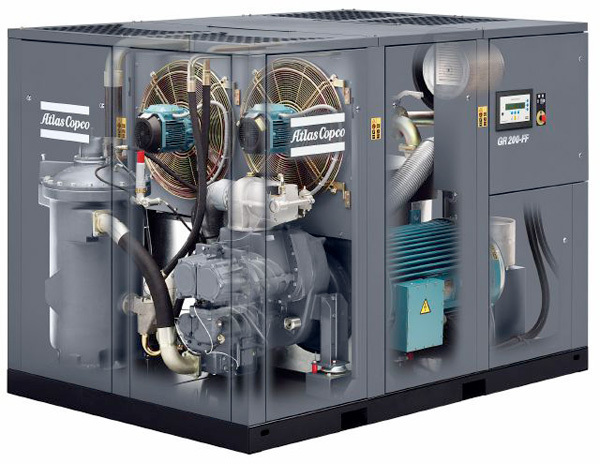 The ZR/ZT 55-900 oil-free screw compressors represent the flag ships of the Atlas Copco compressor fleet. First introduced in the early 1960's, these machines have developed a well deserved reputation for reliability, longevity and energy efficiency. Atlas Copco was the first to develop oil-free rotary screw air compressors and throughout the years 'many have imitated but never duplicated'. Z series can be found in every major industry throughout the world and are relied upon for extremely demanding and critical applications. 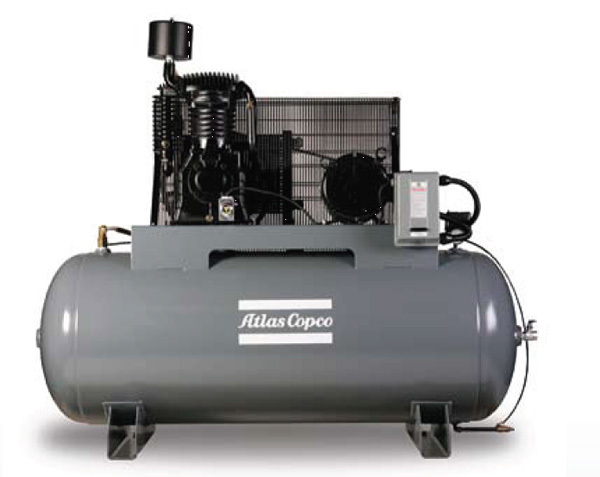 Atlas Copco introduced the first portable air compressor to the world over 50 years ago. Since that time, their line of diesel driven compressors have gone through continuous development and product improvements. The results are the most rugged, reliable and efficient portables on the market today. 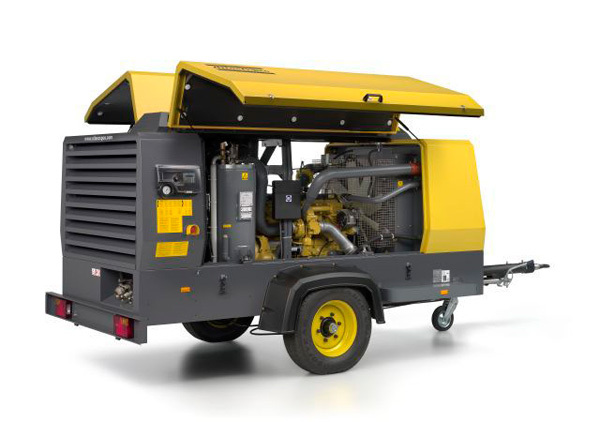 One of every three compressors sold in the world today is an Atlas Copco...find out why. Breathing Air Module – Available in either 5,000 or 6,000 PSI configurations, the Breathing Air Module is the highest quality SCBA compressor package on the market. The compact design requires limited floor space with superior access to all service functions. Available in 5 HP through 25 HP. 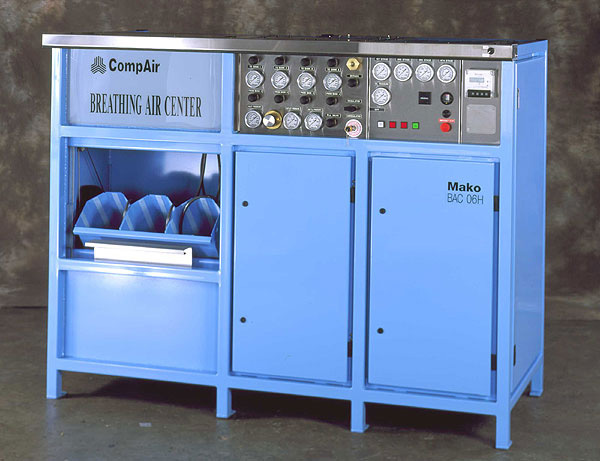 Breathing Air Center – The Mako Breathing Air Center is a completely integrated breathing air system. The compressor, purification, and containment fill station are all packaged in one rugged cabinet to facilitate installation. Units are available in 5,000 or 6,000 PSI, 5 HP through 25 HP. Mobil Systems (vehicle mount and trailers) – Mako offers complete systems which can be customized to mount directly on an emergency response vehicle. Complete trailer packages are also available containing the compressor, purification, containment fill station and ASME storage cylinders. Containment Fill Stations – The ultimate in safety and convenience, Mako fill stations are ergonomically designed to reduce operator fatigue and the steel chamber offers maximum protection in the event of a catastrophic failure. Mobil fill stations are available for vehicle mounting. SCUBA Diving Systems – The Mako Compact Series are lightweight, portable compressor / purification packages designed to serve the SCUBA market. D.L. Thurrott Air carries a full assortment of compressor condensate treatment products including oil / water separators and automatic drain valves. Oil / water separators – Protect the environment and reduce disposal costs by separating the oil and water discharge. Automatic Condensate Drains – Insure proper draining at all condensate points and reduce energy costs with 0-loss drains. In terms of energy consumption, compressed air is one of the most costly power sources in most facilities. Significant savings can be realized by applying controls to operate the system at the most efficient point.